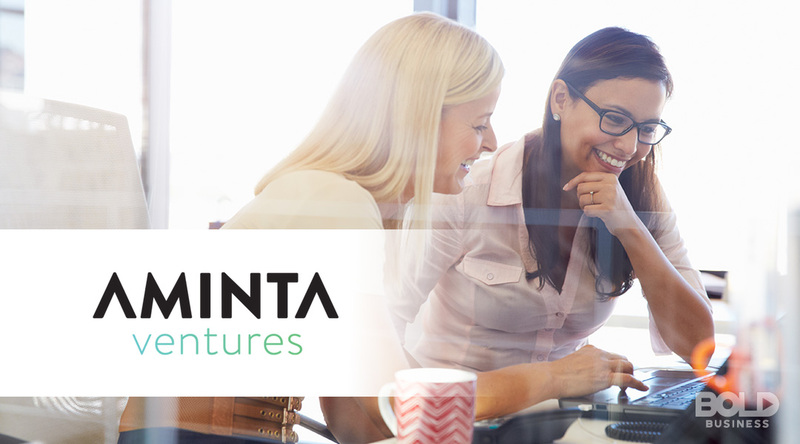 Venture Capital for Female Entrepreneurs - Aminta Ventures is Here! Venture Capital for Female Entrepreneurs—Aminta Ventures Brings Bold Changes! As Bold Business has previously reported, the venture capital space is still dominated by male entrepreneurs. Even today, there is significantly less investment in companies led by women, even when studies show that women-led start-ups outperform those run by males. In fact, in 2017, women only accounted for 8 percent among the top 100 venture capital firms. (Women-assumed partner roles at accelerators and corporate VCs have increased to a paltry 15 percent since 2016.) Similarly, investments in female-led companies have plateaued as a result of the shortage of women in VC. However, a new Miami based company is trying to change the landscape of venture capital and startups in South Florida. Aminta Ventures addresses the root issue by deeply cultivating a new approach for venture capital for female entrepreneurs. Seasoned venture capitalists Julia Ford-Carther, Mary Anderson, Carolina Canida, Rosario Chozas, Alia Mahmoud, Nelly M. Farra, Natalia Martinez-Kalinina, and Deborah Johnson established Aminta Ventures. At around the same time that they built Aminta, women made up just 25 percent of angel investors in 2016. Male investors continued to disregard female founders and choose to invest in male founders instead. This attitude toward venture capital for female entrepreneurs becomes unreliable and eventually creates an unbalanced ecosystem. Only companies born out of male perspectives, needs, and ambitions gain support. Consequently, the female market, perspectives, needs, ambitions, and innovations receive the cold shoulder. Based on a research in 2018, if investors want to succeed by relying on data, they should be investing in women. Appropriately, the influential women of Aminta Ventures want to upend this long-standing tradition of excluding women in business. They want to dismantle the barriers to investing and allow inclusive participation, education, and training of women in venture capital. 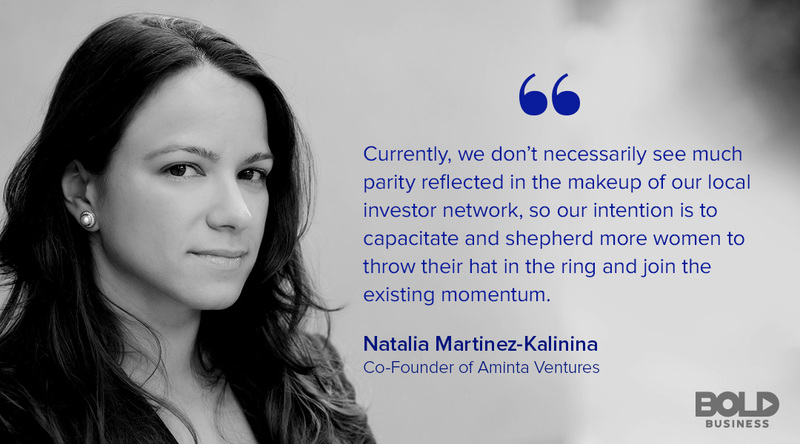 Aminta aims to foster growing generations of female angel investors who not only validate female opportunities but also know how to harness this power to make significant changes in entrepreneurship and the innovation sectors. To engage female venture capitalists, Aminta hosts yearly flagship events with South Florida investment groups and other partners. 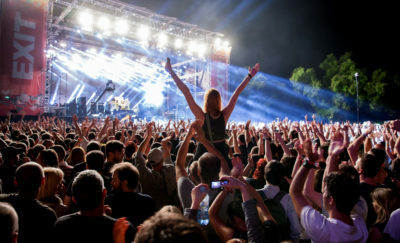 These events include a women-funded pitch night and an angel investment boot camp. Apart from these, Aminta also organizes happy hour discussions featuring entrepreneurship and investment experts. Some of their past events featured leaders such as Dr. Kathy Fields of Proactiv Solutions and Rodan + Fields, Trina Spear of FIGS, and Jocelyn Cortez-Young of Minerva Capital Group. In these events, participants learn how to invest and support entrepreneurs and companies in their early stages. 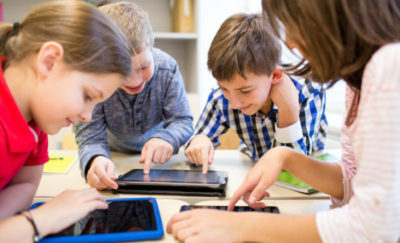 Some members also engage in philanthropy and mentoring or participate in the boards of different organizations. Aminta Ventures is expanding the space of venture capital for female entrepreneurs to explore and create opportunities. It’s an effective way of gathering powerful and influential female leaders who are firm on making a bold difference towards gender equality in venture capital. While Aminta Ventures and other female-led organizations all over America advocate for the visibility of women in venture capital, the figures have not improved much at all in 2018. Less than 10 percent of decision-makers in VC companies are women. Also, 74 percent of VC firms don’t even have women investors. Essentially, women are still a minority in venture capital, and the growth of women-led startups is stunted. Experts point to the same issue—the lack of female financiers—as the main reason why women entrepreneurs don’t get attention and funding. Alia Mahmoud on the difficulty of women to raise money compared to men. Apart from empowering women to decision-making roles in venture capital, there is a need for a paradigm shift as to how women entrepreneurs are treated. Research from the Academy of Management showed that investors ask different questions based on gender. Investors ask male entrepreneurs how they would win and female entrepreneurs what they would do to avoid losing. This attitude perpetuates the outdated idea that women are inferior business leaders compared to men and, thus, have more to prove than men. This unequal footing at the beginning stages of investments leaves very little space in venture capital for female entrepreneurs. Aminta Ventures is an integral cog in the system working boldly to bring equality in venture capital. They are putting the spotlight on women to show that their business investment insights and contributions hold as much—if not more—value as men’s. There must be more support for Aminta Ventures to make a substantial impact on women startup funding. Women from South Florida, as well as from the rest of the country, must work together to create an ecosystem bound by the principle of equality. Aminta Ventures is an exemplary organization in the United States. Indeed, it brings to light the problems and solutions towards gender parity in an industry still harboring outdated ideals.